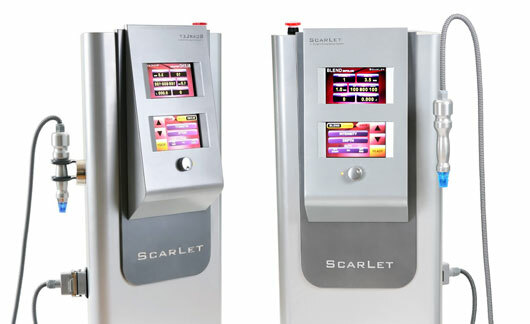 Scarlet RF is the result of the connection between radio frequency and micro needle therapy systems. Scarlet is a minimally invasive fractional RF device with 25 RF electrodes (the micro-needles). It provides direct heating to both the epidermis and dermis by precise control of the depth of needles from 0.5 mm to 3.5 mm. The treatment has minimum downtime – erythema and swelling lasts for 1 to 3 hours after the treatment. Unique effects of direct RF heat, minimally invasive fractional radiofrequency micro needles. Original Fractional RF.Concentrated strong radio wave energy, in order to maximise the effects of RF. Less pain, no side effects, no recovery. Advanced controls input relatively painless electrodes using advanced technology “Shock Free Needles”. Impressive results visible immediately after the treatment. Fractional Laser + Deep Dermal effect of RF. The goal of the treatment is both the epidermis (Fractional laser) and the deep layers of the dermis (RF). Control depth: 0.5-3.5 mm, finely adjustable 0.1 mm. Scarlet RF device is used to rejuvenate the skin, improving its elasticity, and in the treatment of acne scarring by the use of the reserve power of the healthy tissue surrounding the treatment zone. The treatment does not affect daily life. After the treatment, erythema and swelling lasts from 1 to 3 hours. With sophisticated technology, strong energy is delivered directly to the target area. It covers the entire face: the centre of the forehead, flabby cheeks, areas around the eyes and jaw line. Single treatments cost €600 but a course of 3, which is advised for optimum results is €1350. That’s a saving of €450. 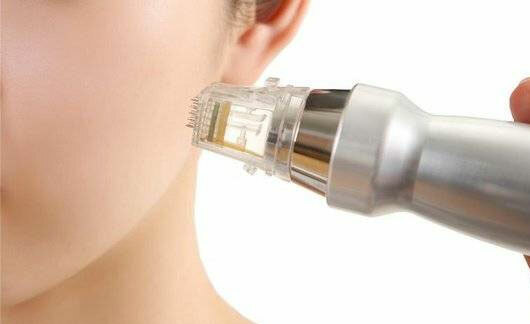 Treatments are performed every 2nd week for 6 weeks and a visible improvement in your skin will be seen at this stage. Following the treatment and using the correct skincare products and treatments, results will also improve with most visible results at 6 months.